Presented at CENIC’s 2019 Annual Conference. The Connect America Fund Phase II Auction (CAF II) was created by the Federal Communications Commission to distribute federal grant dollars to enable broadband infrastructure buildout to rural areas of the country that lack basic broadband services. In August 2018, GeoLinks was awarded approx. $88 Million to deploy high-speed broadband network facilities to eligible areas in California and Nevada (to be distributed over 10 years). 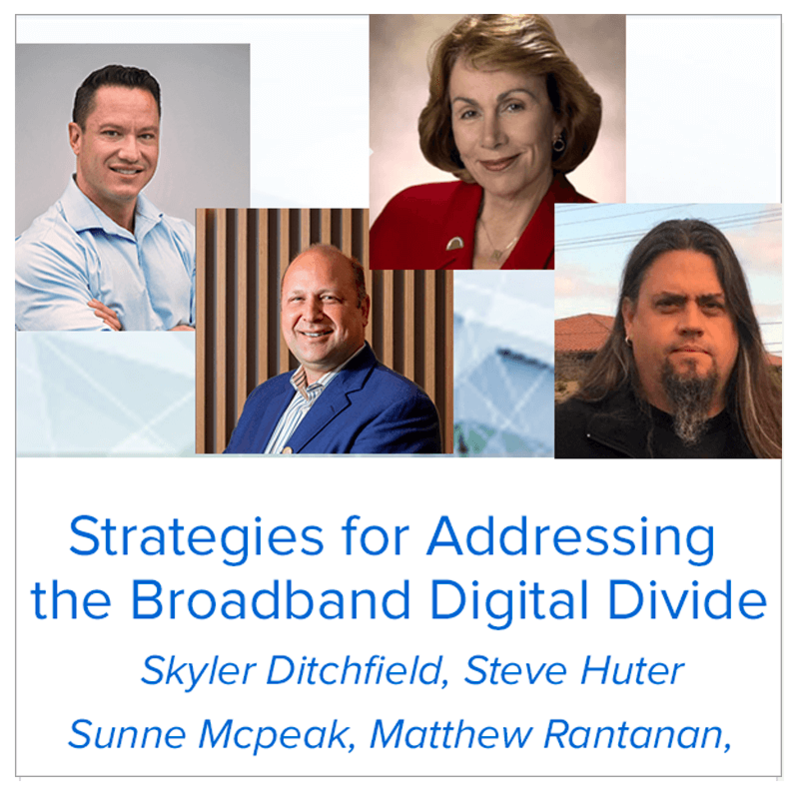 In this discussion, GeoLinks’ CEO, Skyler Ditchfield, will discuss the CAF II application process, awarded areas, and opportunities for creating synergies between CAF II and other broadband grant programs. He will also discuss possible pain points and policy changes needed to streamline deployment and ensure CAF II funding is used as efficiently as possible to connect unserved Americans. Millions of Americans still lack access to high-speed broadband service, especially in rural areas. According to data collected by the California Public Utilities Commission (CPUC), as of the end of 2016, more than 500,000 households were without access to internet service of at least 6 Mbps download and 1 Mbps upload, the minimum threshold for high-speed service in California. This is due largely to the costs associated with building fiber networks to these unserved areas. Wireless services may provide cost-effective solutions and bring much-needed high-speed access to these communities and the anchor institutions that serve them. This panel will explore the role of spectrum-based wireless technologies (i.e. fixed wireless) in closing the digital divide; the benefits to various industry segments and success stories using this technology; and what spectrum policy changes are needed to promote this kind of connectivity at both the federal and state levels. Many projects that might address this broadband disparity have been unattractive to private sector providers, given the difficulty of generating a return on investment necessary for the capital expenditures for construction of necessary middle-mile infrastructure. And, while there is a tendency to see the digital divide as a rural issue, many urban areas show a similar lack of access to fast home Internet, though often for different reasons — lack of affordable broadband and/or lack of motivation for broadband adoption. The picture is not entirely gloomy: There are many creative approaches to address issues of access, affordability, and adoption, often pooling sources of funds, integrating two (or more) broadband technologies, and through partnerships that involve public, government, and private sector partners. The panelists, all of whom are engaged in every aspect of broadband from public policy to project deployment, will highlight and discuss successful strategies to address the broadband digital divide and engage conference participants in a discussion about how to scale locally instantiated projects to reach across all of California (and beyond). This video shows the 2019 Innovation in Networking Awards at CENIC‘s Annual Conference. GeoLinks was honored to be awarded the Christine Haska Distinguished Service Award in recognition of our immediate and effective response to ensure emergency connectivity to communities and organizations affected by catastrophic wildfires. In collaboration with ALERTWildfire, UC San Diego, University of Nevada Reno, CENIC, SCE and PG&E, in three months GeoLinks has installed 88 cameras to improve confirmation and response efforts in combatting California wildfires. CAMARILLO, Calif.–(BUSINESS WIRE)–GeoLinks, a California-based telecommunications provider and competitive local exchange carrier (CLEC) public utility, has successfully installed and provided high speed, low latency, symmetrical data connections to 88 high-definition, pan-tilt-zoom (PTZ) cameras throughout Southern and Northern California to provide critical situational awareness during wildfire events. In collaboration with ALERTWildfire, University of California San Diego, University of Nevada, Reno, CENIC, Southern California Edison (SCE), and Pacific Gas and Electric Company (PG&E), the multi-hazard camera technology provides data related to fire ignition points critical in informing situational awareness and wildfire response. This state-of-the-art camera network, developed and managed by UC San Diego and the University of Nevada, Reno, connects firefighting agencies with real-time imagery and environmental data enabling first responders to allocate and scale resources appropriately. Situated on GeoLinks’ vertical solar and wind-powered assets, the collected data is transmitted via GeoLinks’ ClearFiber™ network then handed off via a strategic partnership to CENIC’s private research and educational network to reach the universities, fire officials, utilities, and other users. This vital information allows involved parties to confirm ignition locations, verify 911 reports, image fire behavior, and ultimately deploy informed response and public warning. The 88 new cameras are located throughout high fire-risk areas throughout California. SCE and PG&E, along with public agencies and the general public, have access to the camera feeds around-the-clock through the www.alertwildfire.org website to monitor wildfire activity. Up to 160 cameras are expected to be installed by GeoLinks throughout SCE’s service area by 2020, which will allow approximately 90 percent coverage in high fire-risk areas. Similar efforts are underway at PG&E to cover their service area. For media inquiries contact Lexie Smith, GeoLinks’ VP of Business Development, at [email protected]. GeoLinks, a Southern California based telecommunications provider and competitive local exchange carrier (CLEC) public utility, is recognized on both a state and national level for its unparalleled capabilities in supporting disaster recovery. Named “Most Disruptive Technology” in the 2018 Central Coast Innovation Awards, GeoLinks’ innovative proprietary network, ClearFiber™, utilizes a combination of terrestrial fiber optic backhaul, carrier-grade full-duplex fixed wireless equipment, and Federal Communications Commission (FCC) licensed spectrum, to deliver ultra-reliable high-speed broadband Internet access to businesses and anchor institutions throughout California. With the unique ability to build solar and wind-powered redundant telecommunications facilities “off the grid,” GeoLinks is able to deploy broadband to remote and unserved communities in a fraction of the time and for a fraction of the cost of fiber. Consequently, the company is recognized as a leader in closing the digital divide and proudly sits on an array of national boards, coalitions, and working groups, including: the Schools, Healthcare & Libraries Broadband (SHLB) Coalition; the Wireless Internet Service Providers Association (WISPA); the Broadband Consortium of the Pacific Coast (BCPC); and the FCC’s Broadband Deployment Advisory Committee. Recently the Company received the Christina Haska Distinguished Service Award from CENIC for GeoLinks’ pro-bono services providing critical data circuits to institutions during California’s recent natural disasters. CENIC connects California to the world — advancing education and research statewide by providing the world-class network essential for innovation, collaboration, and economic growth. This nonprofit organization operates the California Research and Education Network (CalREN), a high-capacity network designed to meet the unique requirements of over 20 million users, including the vast majority of K-20 students together with educators, researchers, and others at vital public-serving institutions. CENIC’s Charter Associates are part of the world’s largest education system; they include the California K-12 system, California Community Colleges, the California State University system, California’s Public Libraries, the University of California system, Stanford, Caltech, USC, and the Naval Postgraduate School. CENIC also provides connectivity to leading-edge institutions and industry research organizations around the world, serving the public as a catalyst for a vibrant California. For more information, visit www.cenic.org. La Mirada, CA & Berkeley, CA — February 28, 2019 — In recognition of their immediate and effective response to ensure emergency connectivity to communities and organizations affected by catastrophic wildfires, AT&T, GeoLinks, and CENIC’s Network Operations Center are being recognized with CENIC’s 2019 Christine Haska Distinguished Service Award, which honors individuals who have provided extraordinary leadership and service to the CENIC community. Project leaders being recognized are: Ryan Adams, GeoLinks; Skyler Ditchfield, GeoLinks; Rhonda Lutz, AT&T; Cheryl Santiel, AT&T; and Stanley Han, CENIC. When wildfires struck, AT&T, GeoLinks, and CENIC quickly engaged with affected communities to troubleshoot circuit failures, deploy equipment, repair network sites, and provide connectivity for essential emergency services. As a result, anchor institutions, which often serve as communication hubs for first responders and meeting places for area residents during a disaster, were able to maintain Internet connectivity. Evacuated residents were able to contact loved ones and let them know they were safe. People were able to send and receive critical emergency alerts, access email and the Internet, and get vital information immediately…..
…In nearby Oxnard, GeoLinks deployed free temporary microwave circuits to provide Internet access to the main library and two branch sites. Statewide, AT&T’s Network and Disaster Recovery team also deployed portable cell sites and recovery equipment. Meanwhile, CENIC offered to leverage its relationships with ISPs, provide temporary communications links, and donate decommissioned hardware. Established in 2018, the CENIC Christine Haska Distinguished Service Award honors individuals who have provided extraordinary leadership and service to the CENIC community and its partners. The award is named in honor of Dr. Christine Haska (1951-2017), a treasured member of the CENIC community with an exuberant personality, boundless energy, and wide-ranging interests. She brought foresight, grace, and an innovative spirit to all her work, and remains an inspiration to colleagues working in research and education institutions across the nation. Haska had a long career in higher education and in 2002 joined the Naval Postgraduate School (NPS) in Monterey, California, where she served as vice president of information resources and chief information officer. She played a vital role in establishing both NPS and the Defense Language Institute Foreign Language Center as CENIC members. Retiring from NPS in 2013, Haska went on to successfully lead an initiative to connect the major health care institutions in Monterey to the CENIC network. The CENIC Innovations in Networking Awards are presented each year at CENIC’s annual conference to highlight exemplary people, projects, and organizations that leverage high-bandwidth networking. The CENIC conference will be held March 18 – 20, 2019, in San Diego, California. Learn more and register to attend. The telecom industry kicked 2019 off by continuing the highly publicized debate over the opportunities, or lack thereof, that 5G presents modern day society. The technology’s promise to deliver higher bandwidth, lower latency, reduced packet loss, and overall increased system capacity than its 4G and 3G predecessors, is still generating both high expectations and severe skepticism. With the gradual emergence of autonomous vehicles, smart cities, and all things IoT, advocates and hopeful early adopters believe that 5G technology will support innovation and transform the world as we know it. Conversely, critics attest that the so called “next generation” is overly-hyped and still faces a magnitude of serious hurdles before it can prove revolutionary. What do you think of 5G, is it worth all the hype? In 2016, the Federal Communications Commission (FCC) found that 92.3% of Americans have access to speeds of 25 Mbps or more—but more than 24 million Americans don’t have access to internet speeds that meet 25 Mbps. Because 5G nodes don’t necessarily require as much infrastructure as a cell tower, they can be used in areas lacking wireless coverage. This will extend wireless speeds of at least 10 Mbps (the FCC’s current definition of mobile LTE broadband) to rural areas lacking in Internet options. If done right, 5G will help level the current rural-urban divide when it comes to Internet speeds, so I think the hype is warranted. [5G is] definitely not worth the hype for any end-user or individual human. Certain IoT or self-driving car applications are different. Notwithstanding all of the industry claims and promises for how 5G will fix all woes, the one piece that is never considered is how app developers consistently re-write apps to utilize all available bandwidth. So even should all the tenuous bandwidth promises of 5G [be real], app developers — if history is any guide — will stuff themselves with 3rd party frameworks and services that consume your newfound 5G connection. So, while one might be able to theoretically receive twice as much data per second, what matters way more is how your app is developed. Two years ago, websites became the size of DOOM. That’s only increasing. The real value of 5G and the reason we’re seeing such heavy investments in building these networks is to help businesses and consumers unlock new, currently unattainable capabilities. 5G networks are expected to far surpass 4G networks in optimizing applications such as IoT, AI, next-generation high definition video and fixed wireless access. 5G’s extremely fast bandwidth and ultra-low latency makes mission-critical control possible, opening the door for new applications that demand absolute reliability, such as health care, energy or autonomous transportations. As a society we tend to over-hype technology. For the person-in-the-street 5G brings you little new functionality compared to a well-designed, uncongested 4G network. It will still let you watch Netflix. What 5G will also do is let you watch Netflix in high-definition, on a crowded train, moving at speed where everyone else on the train is also watching Netflix. Nothing new, but certainly a better experience. Beyond the day-to-day changes, 5G is a network of networks and has the ability to bridge the digital divide by connecting the unconnected. If all you want to do is watch more box-sets 5G isn’t worth the hype. If you want to make the world a better place 5G may be the technology to help you do it. As giddy as I always get for new tech, I also remind myself that first-generation anything should be met with skepticism. The 5G jump promises faster download speeds, lower latency, and all-around better experiences with our smartphones; basically, it’s a bigger pipe for data transfer. However, coverage won’t be widespread initially, and depending on where you are, you might not be able to take full advantage of the network or that expensive new phone. Plus, I’d expect the data caps by wireless services to be prohibitive. The next generation in wireless phone tech is exciting, but I’ll wait a year before I personally invest in anything to make sure the networks are stable (and in my area), the bugs and glitches in new phones (and batteries) are worked out, and that there’s proof that 5G really will be faster than 4G LTE. While attracting a lot of hype about how it will disrupt everything — much like most emerging technologies—5G is different. The predicted transformational benefits are real, but it is still an uncharted landscape. Businesses need to prepare for plenty of first-generation challenges. A recent report indicates that 60% of organizations surveyed plan to deploy 5G by 2020, with clear expectations for 5G use cases, but this demand is far ahead of what communication service providers (CSPs) can deliver. CSPs are initially focused on consumer broadband services. To businesses, 5G is more than just a better mobile network – it will improve the networks of companies in every industry, allowing them to take greater advantage of transformative technologies, such as AI, IoT, and machine-to-machine communication. From autonomous vehicles to smart cities and healthcare, companies expect 5G to improve how they collect, manage and use data, enabling better customer service, increased operational efficiency, and greater employee productivity. How well an organization plans for and implements 5G will determine the level of transformational impact on its business. This means preparing now to implement this next wave. As it currently stands, 5G is not worth the hype at all. There are still countless issues with the technology, such as your hand or body blocking the signal, and deployment timeframes continue to be pushed further out. In reality, 4G provides us with enough speed and low latency to support all of today’s modern applications. Unless an area is overly saturated, such as urban markets, the general Public will virtually notice no difference between 4G and 5G. Moreover, 5G has a strong potential to hinder progress in connecting rural America. Why? Expansion dollars will likely be focused on building out new 5G infrastructure causing less and less capital being dedicated to closing the 4G gaps in rural and suburban America. I can tell you personally in my town of around 110k (Ventura) there are countless 4G dead spots. In fact, I even run into dead zones throughout Los Angeles and Beverly hills on Verizon. All in all, instead of focusing on the overly-hyped marketing of 5G, our energy and dollars should instead focus on densifying 4G networks and adopting a hybrid-network approach to closing the digital divide. 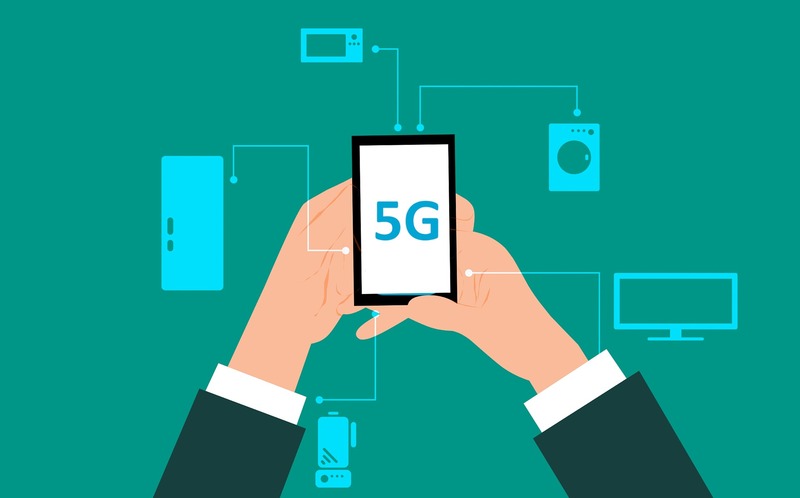 Despite promises and early launches by Verizon and T-Mobile in the US, and other operators around the world, the main differing features of 5G – namely very low latency in support of VR-type applications and remote robotic control and ‘network slicing’ to allow networks to be virtually separated into virtual private networks – will not come for at least another 2 to 4 years. [Furthermore,] the much-touted use of ‘sub-6GHz’ and mmWave spectrum requires 2 to 5x the densification of today’s existing mobile networks. There are some technologies that can mitigate this densification, but as the FCC in the US is pursuing, this requires massive numbers of small cells, and current zoning rules are localized which slows down deployment. This argument also misses the high costs of running fiber to all of these small cells and the only solution is wireless backhaul which requires more spectrum. [So,] 5G will eventually live up to the hype, but for now, consumers should be patient and not fall for the shiny object dangling in front of them. There’s plenty of hype about incoming 5G networks, and they are definitely worth getting excited about – not only because it will deliver dramatically faster speeds to your smartphone (though that is a nice bonus! ), but also because it will unleash the potential of the Internet-of-Things. 5G delivers gigabit speeds at very low latency, making it possible to connect millions of devices simultaneously and constantly, without interruption. Exciting new technologies, such as augmented reality experiences and autonomous vehicles, [will] become possible by laying the 5G groundwork. In the bigger picture, by hooking up IoT sensors to everything from traffic lights, to factory robots, to vending machines, we can gather incredibly granular data on nearly every interaction that occurs, and all of this data can be processed and analyzed by AI algorithms to identify ways to make services vastly more efficient and cost-effective. However, where the 5G hype gets a little outlandish is in how quickly we’ll see the improved capabilities of 5G come to market. It will take some time to scale these networks and develop the IoT applications that will run on them, and that’s something consumers need to keep in mind. So as articulated in the above comments, the 5G debate continues with a split verdict. Now, what do you think of 5G, is it worth all the hype? https://geolinks.com/wp-content/uploads/2019/02/Is-5G-Worth-all-the-Hype-Lexie-Smith-GeoLinks.jpg 1196 1920 Lexie Smith /wp-content/uploads/2018/01/GeoLinks2.png Lexie Smith2019-02-21 13:14:452019-02-21 13:14:45Is 5G Worth All the Hype? GeoLinks was honored in December as one of the best small businesses in the United States by Entrepreneur magazine. The Camarillo-based telecommunications company, which built its business on bringing high-speed internet access to remote areas using radio waves and wires to get to people traditional cables alone can’t reach, was named to the Entrepreneur 360 list of small businesses “that are mastering the art and science of growing a business,” the magazine said. Honorees were judged on five metrics: impact, innovation, growth, leadership and business valuation. To view the full list, visit entrepreneur.com/360. Skyler Ditchfield, cofounder and CEO of GeoLinks, said in a statement he was thrilled by the selection and hopes his company can continue to grow and expand its philanthropic efforts, which include providing internet access to Red Cross shelters in disaster areas and helping implement wildfire detection and prevention systems across the state. 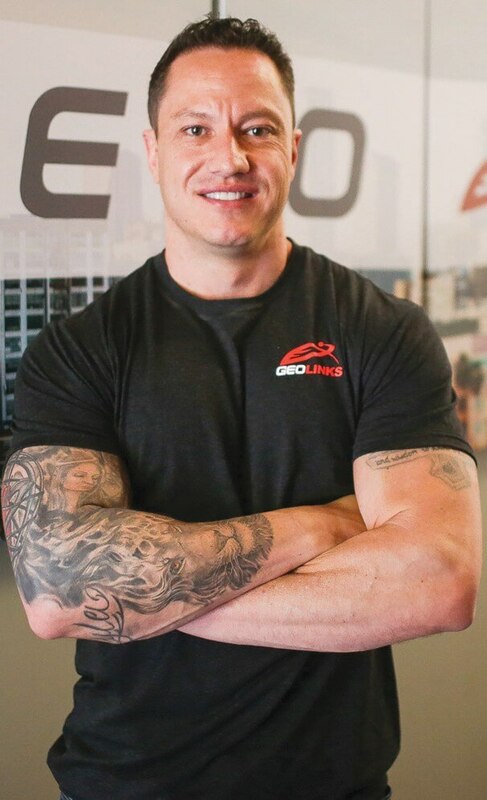 “I am humbled and honored that Entrepreneur recognizes GeoLinks as a well-rounded, innovative company that truly is making an impact,” he said. GeoLinks was the only Ventura County business to make the list.  To learn more about the company, visit geolinks.com. 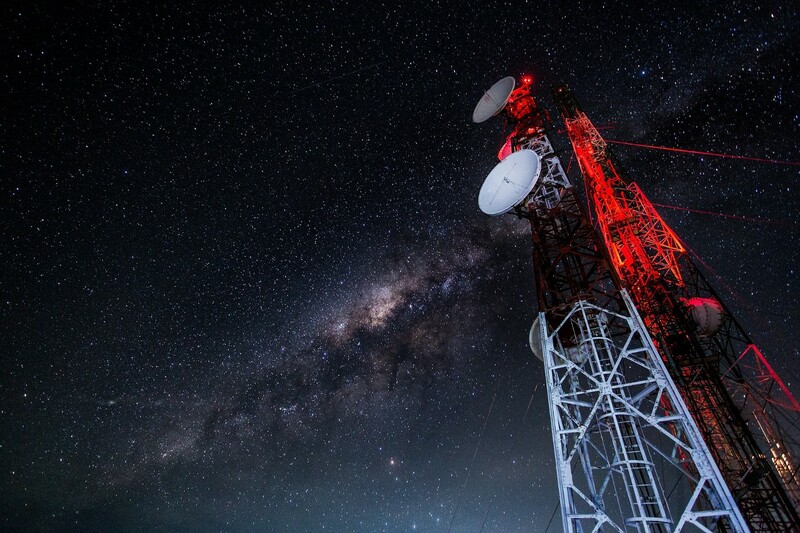 From the emergence of fixed wireless and hybrid networks, to the predictive realities of 5G, telecom experts share their 2019 industry forecasts. Do you agree or disagree with any of the above predictions? If so, feel free to visit the original article here, and leave a comment.